Nokia's CEO and president Olli-Pekka Kallasvuo will leave his position later this month, with Microsoft's Stephen Elop taking the reins. OPK will step down on 20 September, and will leave the Nokia board of directors immediately, although he will remain with Nokia Siemens Networks. Elop is currently in charge of Microsoft's Business Division, and despite Nokia's dwindling market share, he's giving the mandatory battle cry. "I am extremely excited to become part of a team dedicated to strengthening Nokia's position as the undisputed leader of the mobile communications industry, with a relentless focus on meeting the needs and expectations of customers. 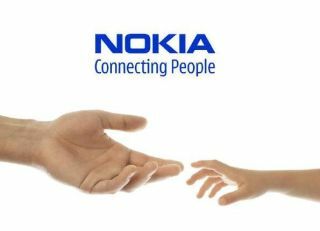 "Nokia has a unique global position as well as a great brand upon which we can build. The company has deeply talented and dedicated people, and I am confident that together we can continue to deliver innovative products that meet the needs of consumers. " While we feel sad about OPK's departure (mostly because we'd finally learnt how to spell his name without have to Google it a couple of times) don't feel too bad – he's getting a payoff of nearly £4 million.